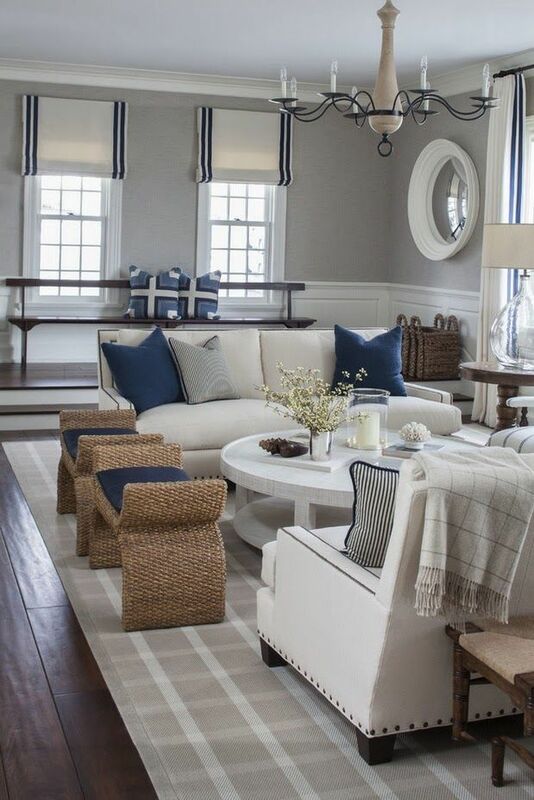 When I think of decorating a home by the water, I think of a couple of different styles – from nautical to beachy, relaxed coastal chic or something that is more suited to city harbour living. They all have some similarities, but each style is definitely unique in its own right. Coastal chic would have to be my personal favourite and one that I think is probably the most popular around town. It ticks all the relaxed and comfortable boxes, but is refined and has a sense of sophistication. 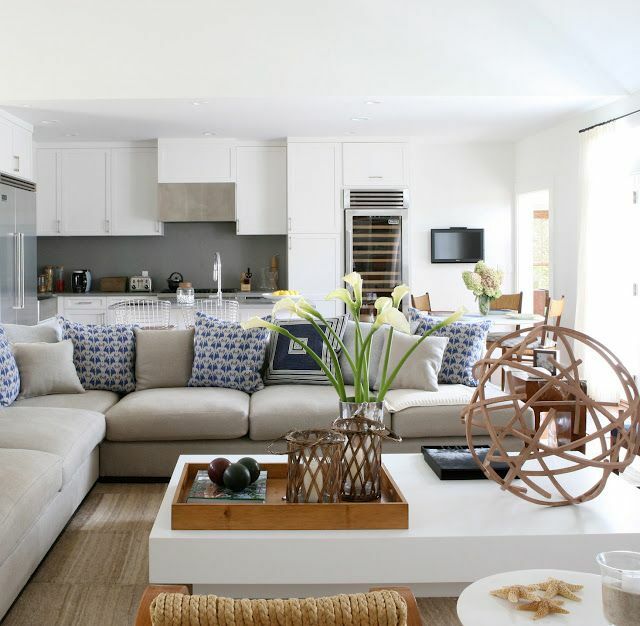 The style encompasses a lot of white and neutral colours, often with just a hint of various shades of blue – just like the colours you’d find at the beach. Lots of textural items are used, from wicker to fabric upholstery and raw timbers. 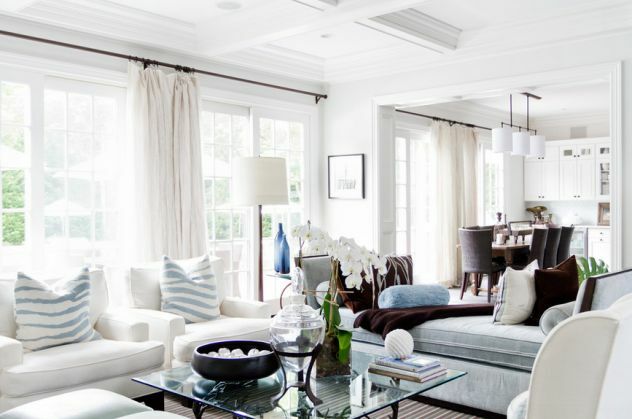 Styling a coastal chic home often uses a mix of chunky and classic furniture with glass tables that do a great job at keeping spaces looking open and large. The overall look captures the natural elements and feelings of being at the beach, without necessarily using obvious images (prints or artwork) or products (surf boards, life buoys, etc.) that are often found at the beach to decorate the space….